First thing is first, you can read my latest interview with Laugh Riot Press via their monthly newsletter, the Laugh Riot Report. We discuss writing tips, publishing tips, and how to market yourself while writing your next book. Read that by clicking here. (You don’t have to sign up to read the interview, but I highly suggest signing up for the Laugh Riot Report. Read more about it by clicking here.) 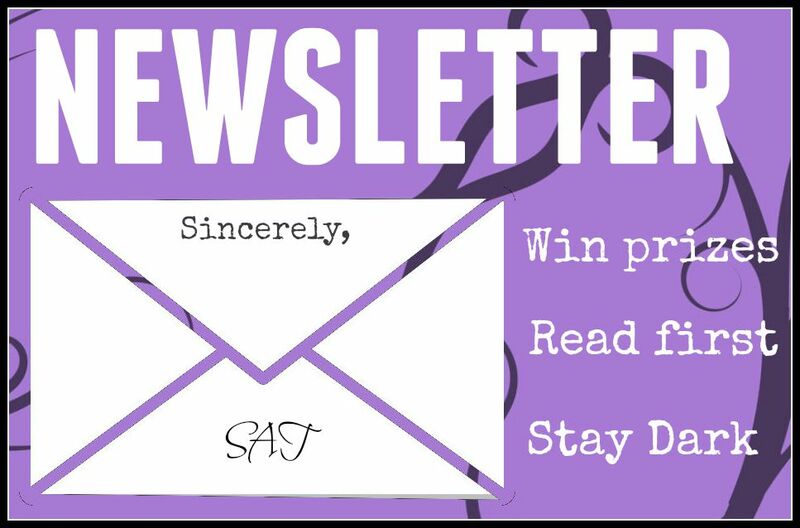 Why should you sign up for this newsletter? Well, once a month, Laugh Riot Press collects 12 extremely helpful articles for writers navigating the self-publishing world. These articles are handpicked as leading information in the industry. I’m a huge fan of LRP…and on top of that awesome deal, they are hosting a giveaway for a signed copy of Workman’s Complication right now. Enter via Rafflecopter here. This was one crazy (but short) month! Between radio interviews and book signings, I didn’t have a lot of time to sit down, but it was a wonderful problem to have. Thank you for being a part of my life this February. I had a book signing in Barnes & Noble in Wichita, Kansas during the Romance Author Valentine’s Day Event! It was a blast and a pure joy to share the day with Tamara Grantham, Candice Gilmer, Jan Schliesman, and Angi Morgan. I even got to met a few dozen readers, and sitting down with you all is something I will never forget! I hope I can travel further and longer in the future to meet even more of you. Thank you for coming out! Other than that, I had my first in-studio radio interview at Johnson County Community College. That was pretty crazy! That very day, Bad Bloods went up on Amazon, but the eBook won’t be up for preorder for another month or so. Out of celebration, I gave out the first sneak preview of Bad Bloods to everyone on my newsletter, and I received a lot of emails from you all expressing how much you’re looking forward to my next series! Thank you for your support and kind messages. 1. No. Reading is Not an Option: As a full-time editor and author, I have come across more and more writers who believe they don’t have to read in order to be a writer. I adamantly disagree, and I stand by my opinion—and Stephen King’s opinion—that you must read A LOT in order to be a writer. So go out there and fall in love with reading again. 2. How I Became a Full-Time Editor: Many of you have asked and I have finally answered. Long story short: I fell into it, but I give out a lot of tips on how you can pursue your dreams of becoming a full-time editor today. 3. Fandoms vs Mobs: I’m really saddened by how much fandom culture has changed. It’s more or less a mob now, rather than an exciting and supportive place for all types of fans to join together. This was my article addressing how we can get supportive again. Choosing a Setting: It’s not that difficult! There are plenty of tools on in the Internet to help you. Saturdate: Today’s Book Signing, The Infinite Sea, Shameless, and Puppy Chow: I had a book signing in a Barnes & Noble, which was way too much fun. I also read the sequel to a movie adaptation and discussed why sweets are the best. Why Do You Read: I always talk about why I write, but I rarely talk about why I read. Saturdate: Signed Books, Cherry Cookies, Everything, Everything, and The Lizzie Borden Chronicles: My weekly update included an opportunity to buy signed books of The Timely Death Trilogy, an awesome 2016 read, and a horror show based off of Lizzie Borden. Music Muse and Tricks: This post covers how to trick your brain and get inspired by using music as a tool. Authors I’ve Met Who Inspired Me: I have had the joy of meeting quite a few authors in my life, but I’ll never forget the first three authors who took time out of their day to sit down and talk to me about why I should never give up. Saturdate: The 5th Wave, The Siren, Radio Interview, & Peanut Butter Cookies: I had a radio interview in a studio, which was pretty neat! How to Use Real-Life Stories in Your Novel: I tackle an idea that seems black and white but isn’t always. Using real-life stories in your books can come with ethical issues and memory problems. #AmReading Why Do You Read? Tune in to ECAV Radio interview at 2:00 p.m. (CDT) today for my latest interview! We talked about dinosaurs, book covers, and nightmares. I even read a never-before-read poem! You might get an exclusive sneak peek of upcoming novels too. Every Monday, I take an old post and I recover it with new thoughts and ideas. Today, it’s all about why we read, rather than why we write. You can read the original post here, but this week, it’s more or less the same since my reasons haven’t changed, but I did expand on those reasons in the second half. I read and I write because I love them, but that love stems from two different life experiences. I always write about why I write, but I never write about why I read, even though I read more than I write. At first, the reason seems simple. I read, because I like to; it’s entertainment. But then it gets more complicated. Why reading? Why do I prefer to be entertained by reading rather than by listening to music, watching movies, or something else entirely? When I really started thinking about it, I realized I started seriously reading at a very young age, and it was generally on the road. My family moved around a lot, especially when I was a kid. As of now, I’ve already moved twelve times, including six states. Between moving, we traveled a lot—mainly because my family was spread across the country, and we drove to make visits. This meant hours–sometimes days–spent in the car with nothing to do…until I started bringing books with me. This is actually a photo from Barnes & Noble for an upcoming signing you can read about below. To this day, I’m pretty blessed to be able to say I don’t get nauseous when I read in cars or airplanes, and I believe I fell in love with books somewhere along those roads. I was traveling in novels while I was traveling the country, and the new characters became my friends as I did so. After that, I would say my reasoning for reading changed, but it depended on what I was picking up. If it were fiction, it might have been to visit a new world. If it were a memoir, it was to understand another, to learn about someone else’s life. If it were poetry, it might be to challenge myself or even to learn about my own life. I could expand and say I read because I grew up in a reading household. While my brother and father definitely don’t read, my mother was an avid reader, and I wasn’t allowed to watch TV. On rainy days, reading was practically my only option, and my mother always encouraged us to pick out whatever we wanted at the bookstore. I found independence in it. I found exploration and admiration in it. I found myself in it. Today, I read when I’m relaxing, when I’m happy, when I’m sad, when I’m sleepy, when I want to learn something, when I want to be around someone but have no one to see, when I want to be challenged. Reading has fit into so many aspects of my life it’s impossible to name all of the reasons, but the main reason comes down to love. So why do you read? Has your reasoning changed from when you first started to now? Come get your books signed on February 13, from 1-3 PM during the Barnes & Noble Valentine’s Day Romance Author Event in Wichita, Kansas at Bradley Fair. Come meet Tamara Grantham, Candice Gilmer, Theresa Romain, Jan Schliesman, and Angi Morgan! If you haven’t started The Timely Death Trilogy, don’t worry. Minutes Before Sunset, book 1, is free! Every Monday, I recover previous posts that were popular, but I tackle them in a whole new way. Today, I’m covering how to choose a setting for your novel or poem or short story or whatever you’re writing. 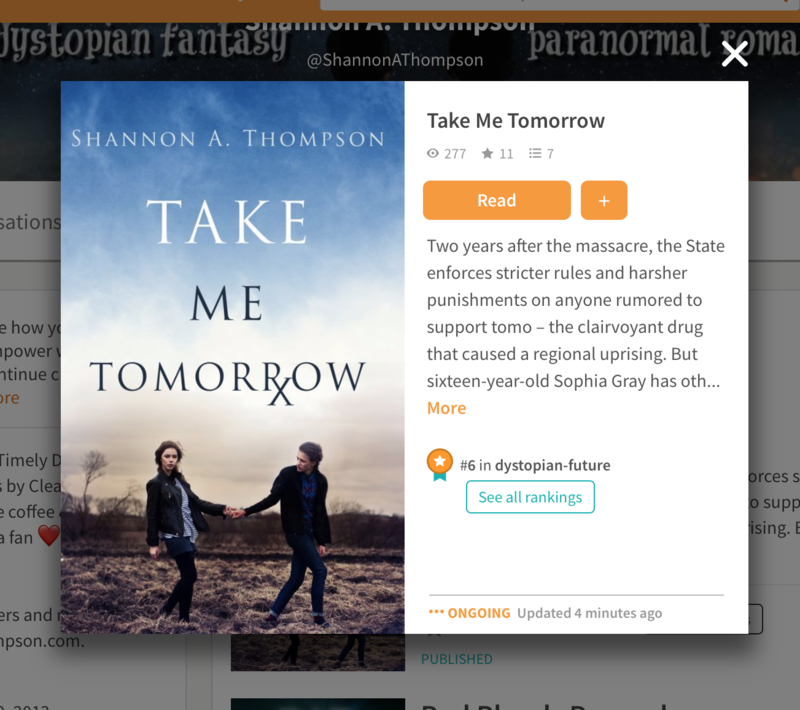 The original post, Setting: Picking a Location, can be read by clicking the link, and it covers other aspects to keep in mind, but today, I only want to tackle two ideas: real-world settings and imaginary ones. When you’re writing about a place in the real world, you honestly have two options: write what you know or write after you research extensively. This is especially true if you’re writing a historical piece, but that’s a completely different topic to cover, so I’m basically talking about the here and now. If you’re making a decision, don’t pick what is easiest. Instead, pick what is right for your story. In fact, you might have to write your story’s first draft to realize what type of setting you need, and that’s perfectly okay. As long as you figure out what you need and where you need to go, do it the way that feels right to you as a writer. But once you know what you need, you can start researching. I always suggest considering places you already know, but I am probably biased because I moved all around the country as a kid, so I have a plethora of places to consider. That being said, you can always travel too, but please don’t think you MUST travel in order to write about a place. While Ally Carter does travel a lot—and bases many of her books on those places—she also says, “I try and try and try to get people to believe me when I say that my job is basically looking at a whiteboard covered with sticky notes and/or a computer and/or big stacks of paper all day long.” This is how picking a setting (or any part of your novel) is going to go. Research and think and research again. Even better? Research is SO easy nowadays. You can even talk to someone from that exact location if you want to. All you have to do is join a forum. One thing I’ve always loved is pretending I’m moving there. (If I play “your life is about to change dramatically,” it forces me to take it very, very seriously.) Look at the setting via Google Maps, read a travel guide, research schools, check out the town’s official website, talk to people who live there or have in the least been there. You can do it. Look at it this way, if you can spend months writing about it, you can take a week or three reading about it. One of my favorite tools—even just for fun reading—is Earth Album. You just click, and voila! Pictures of the location and the name, so you can start Googling. If you click on the picture too, it will generally send you to the source of the image so you can research it in-depth. It’s a good place to start. I could write an entire month’s worth of blog posts about world building, so this is going to be ridiculously brief, but I hope it’s a place to start. Just like the above option, I think it’s most important to figure out what your story needs first, but once you have that, you can start building. Again, that doesn’t mean I think you have to know all of this before you write. You can write the entire story to figure it out, and then, change everything in editing. Personally, I like building from the little details to the bigger ones, which I know is the opposite of many writers, but that’s okay, because I figured out what worked for me. (Most of my writing tips, you might notice, revolve around the idea of figuring out who you are as a writer.) I start with the story details, and I work my way up to a giant map. This way, I have my “rules” in place. I have the political systems, the social expectations, the movements, the beliefs, the types of people, the places, etc. Now, if you want to start with a map first, I’d suggest studying maps. See how they are drawn and draw yours. If you want something random, watch this YouTube video. It’s freakin’ awesome, and it’s an easy way to get all different types of terrain on various landscapes. Personally, I am in the process of writing an epic fantasy, and I did it the old-school way: a piece of paper and a pen and a bunch of sticky notes. My living room was covered. (Because that’s what works for me.) Overall, it’s important to create a world just as rich and diverse as our world is today. Even if it’s a walled-in city, different types of people and beliefs will exist. Don’t sell your world short. Explore it, take notes on it, explore it some more. It’s important to remember that you don’t have to include every little detail of your imaginary world in your book (especially not in the first chapter), but knowing as much as possible can help fine-tune your voice and your characters. If you’re going to take inspiration from history, be honest but be respectful. That means being diligent. Be everything you’d want a future writer to be in regards to if they took inspiration from your lifetime or your country. Create a world we’ve never seen before. Fun fact: Take Me Tomorrow and November Rain both take place in the near-future U.S., but were built very differently. 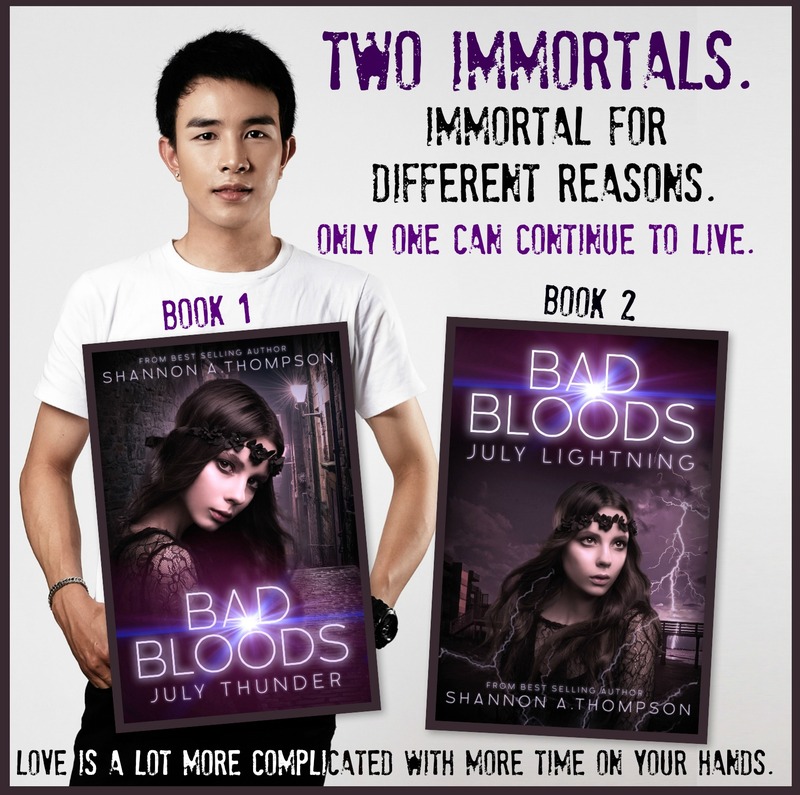 The Tomo Trilogy takes place throughout the entire country, while Bad Bloods takes place in one walled-in city. While Take Me Tomorrow was largely built around rail transportation in the U.S., November Rain was built on a real city I never actually name in the story (but I do give hints as to what it is). The epic fantasy I mentioned above doesn’t take place in this world at all. That took a lot more time and consideration to create, but it was well worth it in the end. Create, and create well. And, of course, have fun.